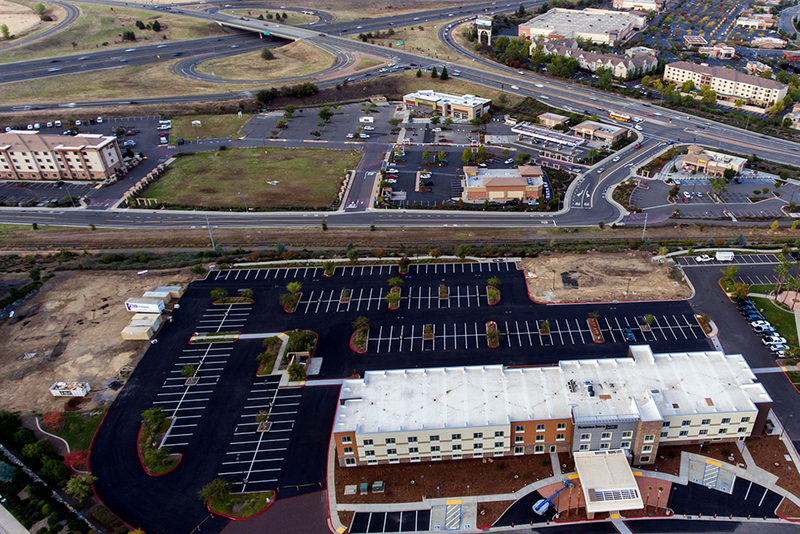 Home » Blog » Aerial Construction Photography: Century Arden & XD Cinemark Grand Opening! 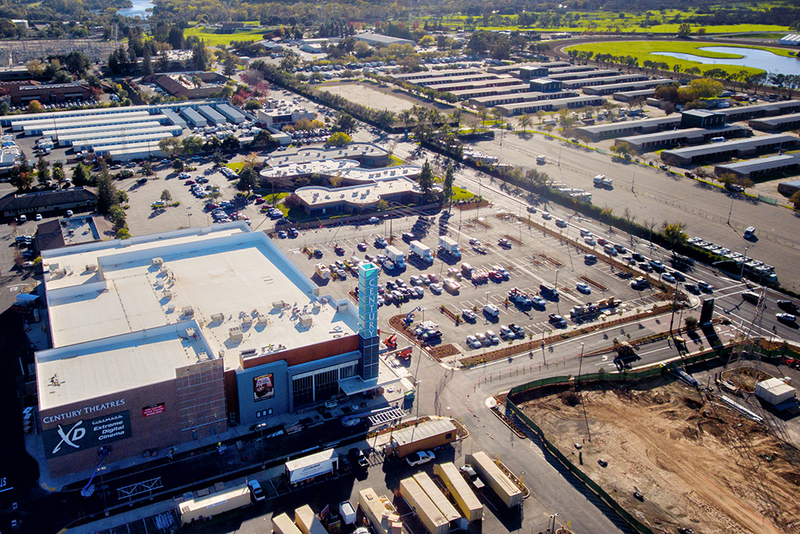 On December 1st, the brand new Century Arden & XD Cinemark Movie Theatre will be reopening its doors. Long known for its Domed shape, the movie theater on Ethan Way in the Arden Area was overdue for a remodel. Now this 14 screen super theater will bring a luxurious feel and exciting movie going experience to the community. 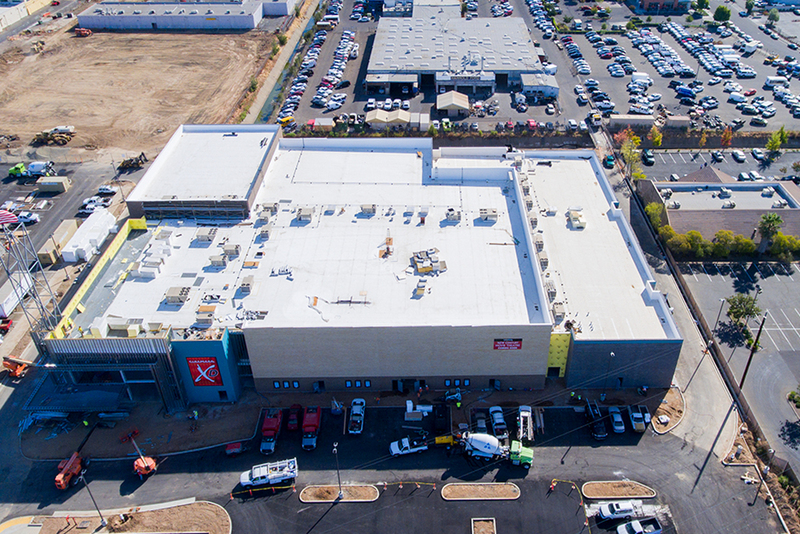 Coruscating Images specializes in Aerial Construction Photography, this is a blog showing some progress images of Cinemark’s new establishment. Across the street from Arden Fair Mall, Cinemark sits on a 330,000 square foot lot due for redevelopment. Along with this sight Cinemark is also in the process of redesigning its Downtown Plaza Location. 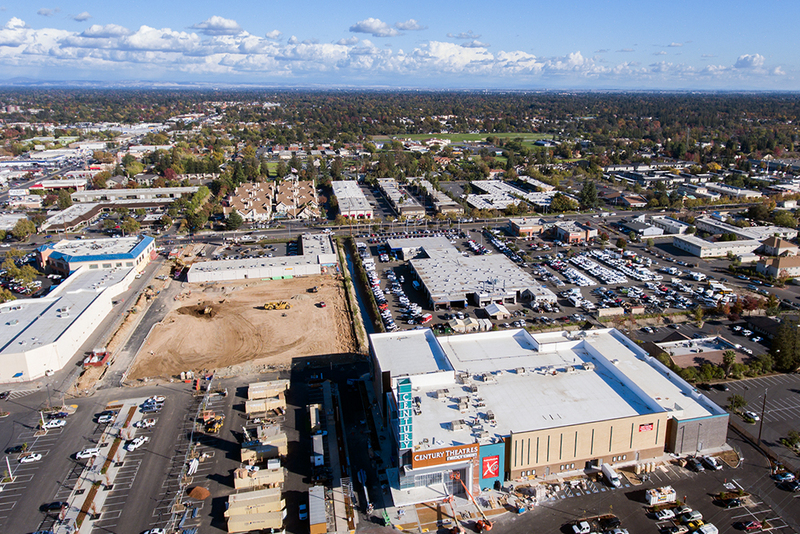 In the past year, and for the next 5-10 years; we will see major redevelopment plans for the Downtown, West Sacramento, Rancho Cordova, and Arden Arcade Areas. 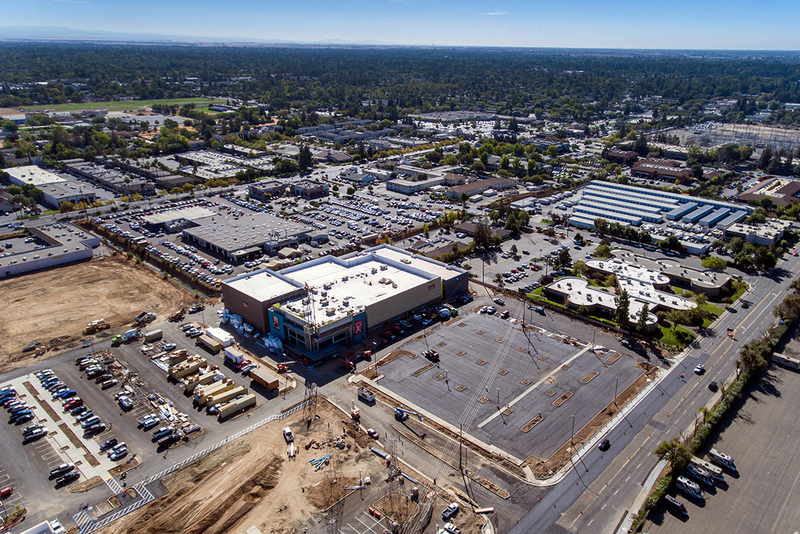 Currently around ten Cinemark locations have been built in the Sacramento and Surrounding areas. Known for their high quality buildings, friendly staff, and cutting edge screens. We love to head to one of Cinemark’s Theatres to enjoy the latest family movie, or the newest Marvel film. 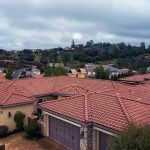 By using Aerial (Drone) Photography, you can really appreciate the time and effort Cinemark is putting in to make their theatre most popular. Here are their Sacramento Locations. Coruscating Images has thousands of flight time in multple situations. 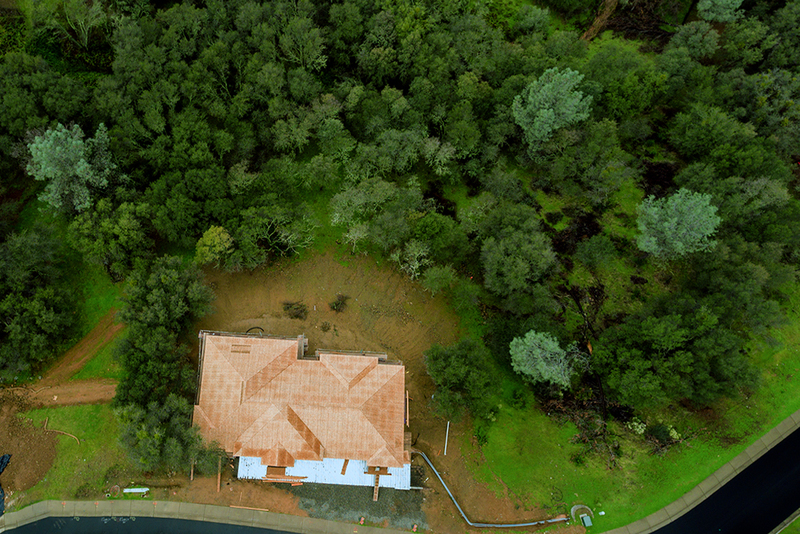 Aerial Construction Videography happens to be a craft that not many pilots can perfect. 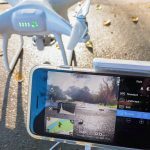 Yes, an operator can fly an SUAS over a site, photograph it, and take a picture. What many can’t do is create a cinematic feel, and creative look to a seemingly standard project. Your company is looking to showcase something being built from the sky, either for new customers, existing clients, and possibly international investors. Give your audience the most provocative, eye catching view possible! Many new buyers are so impressed with Coruscating Images, they request a Metal Canvas print of their home during its construction phase! 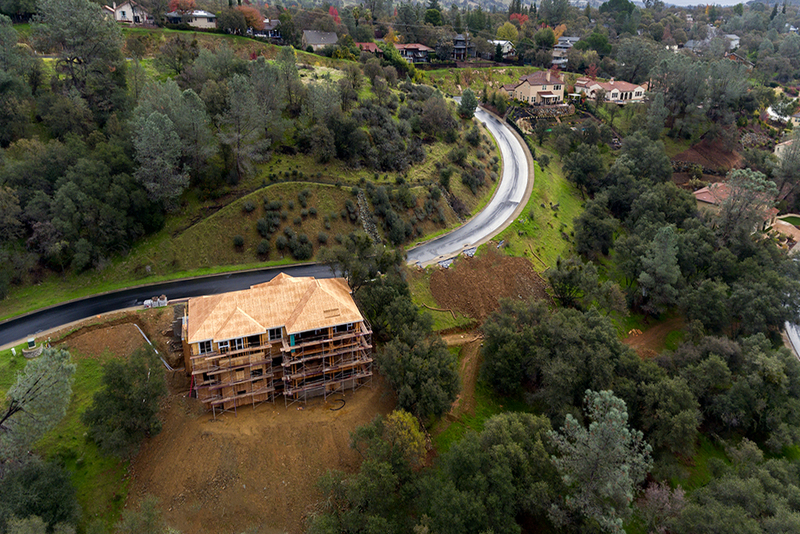 If you have any questions regarding Aerial Construction Photography, Contact Us today!